What’s good? For a budget helmet, the MT has been quite impressive over my first 500 miles using it. It’s impressively comfortable, and I don’t know if it’s just down to luck that it fits the shape of my head particularly well, but there wasn’t even the usual bedding in process that comes from a new helmet. It fastens securely with a micro-metric clasp, has a plush removable supermax liner, and decent ventilation. 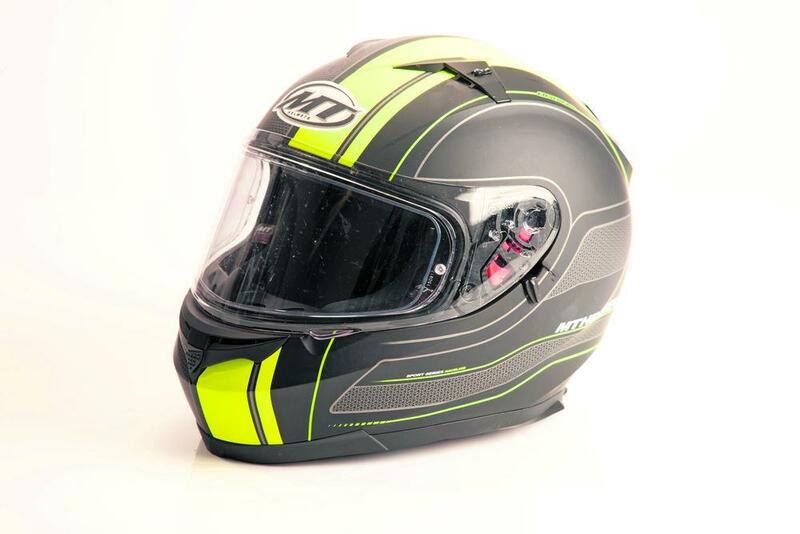 It also comes with a Pinlock insert which means that I’m able to ride without worrying about the visor steaming up – despite my best efforts, it hasn’t as much as lightly fogged up. What’s not? There’s an internal sunvisor built into the lid – and yet I still tend to use my sunglasses more than I use the visor. Why? Because the knob for flipping it down is the fiddliest thing in the world, and I simply can’t use it when I’m wearing gloves! It’s also fairly noisy – to the extent where it’s nigh-on impossible to use without earplugs while you’re on the motorway. Part of that is due to the screen on my Kawasaki J125 – but the cumulative effect makes it sound like there’s a Eurofighter sitting on my tail!